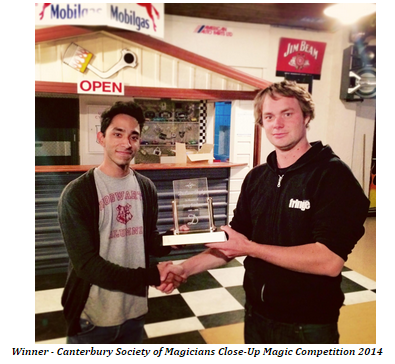 My name is Dev and I am a 21-year-old magician based in Christchurch, New Zealand. Before I started taking lessons from Aaron I had been learning and performing magic for about 4 and a half years. In those years I had learned and performed a lot of different sleights and tricks (most of which involved cards) in various environments (social gatherings, schools, university, restaurants, coffee shops, malls) both professionally and ‘not-professionally’. Apart from the initial few months, I like to think that I was successful more often than not in these performances and would very rarely feel like I didn’t do a good job. Spectators, almost always, seemed to enjoy what I was showing them and were very supportive. I believe that is the reason why I love performing magic (it makes people and me happy!). However, despite receiving great reactions to my tricks and plenty of encouragement and support from my audiences, a lot of the time I would receive comments such as ‘you’re really good with your hands’, ‘you’re so fast with the cards’ or ‘you have great sleight of hand’. These were all meant to be compliments but they bothered me because I never wanted the spectators to think that I was doing sneaky things with my hands and the cards, I wanted them to believe (even if just for a moment) that they were witnessing real magic. I wanted them to experience that incredible feeling of seeing a miracle happen right in front of their eyes. Looking back, I am certain the reason this happened was because of the way I approached the process of learning and performing magic. Back then, my approach to magic was quite straightforward, you learn the method behind a trick -> you practice it until you feel confident enough to perform it -> you perform it. I always added a little bit of my own touch and presentation to these tricks but I never spent too much time thinking about the other different elements that make up an effect such as structure and misdirection. Adopting Aaron’s Miracle Man Method (3M) has changed that and consequently helped me get closer than ever to create that feeling of real magic in my spectators’ minds. 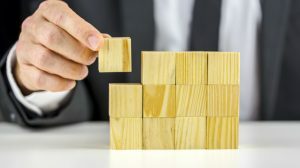 When I began taking lessons from Aaron, I thought that I was already in the ‘Intermediate’ or ‘Expert’ category when it came to learning and performing sleights. I thought that I had already ‘mastered’ sleights such as the Double Lift the Pass, the Classic Force etc. I believed that card controls such as the Overhand Shuffle control, switches like the Side Glide and forces such as the Criss-Cross force were just for beginners and I didn’t need to use them at all. How wrong I was! Aaron wasted no time in helping me understand the importance and usefulness of these core moves. He not only explained the moves and how to do them in incredible detail, but also taught me some mind-blowing effects and routines that can be achieved just using these moves, the Chicago Stunner and Thought Crimes to name a couple. In fact, I loved the Thought Crimes routine so much that I performed my slightly modified version of it for a local close-up magic competition and won first place! Seriously, I performed a routine that involves just the Overhand Shuffle control system and the Criss-Cross force and floored a room-full of magicians. All thanks to the Miracle Man Method. As mentioned before, I didn’t really spend a lot of time thinking about Misdirection before working with Aaron. Honestly, I didn’t really even understand how misdirection truly worked and thought that it was necessary only in tricks which involved hiding an obvious secret move (such as the top change in 2 card monte). 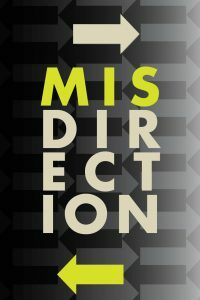 When in reality, the principles of Misdirection can, and should be applied to every single trick that you perform. I realized that there are so many more things that the audience shouldn’t be seeing or thinking about when you are performing a trick for them for example, getting a break. Writing this, I cannot believe I thought it was okay for the audience to see me getting a break. Aaron taught me how to perform an amazing coin vanish that involves almost no sleight of hand, but just uses principles of Misdirection like the Gaze and Attention Jacking to achieve the effect. I believe that this effect alone has helped me attain a deep understanding of misdirection, I am certain that I couldn’t have achieved this if it wasn’t for Aaron. Applying the principles used in the coin vanish has helped me employ them in every other trick that I do and truly helped reform these tricks into real miracles. Understanding structure and how it is essential in creating a magical effect was a major element in my transformation from a ‘trickster’ to ‘magician’. Before working with Aaron, fortunately, bulk of the tricks I performed had decent structure. I think this was because I subconsciously applied some basic principles of structure to my tricks, because otherwise, the trick wouldn’t feel ‘right’. However, when Aaron taught me a sponge ball routine, I truly understood how and why structure was such a powerful element of the effect compass. The effect of the first phase of the routine is - two red balls are introduced as siblings who cannot stay apart from each other, then one ball is placed into the spectators hand and the other in the magicians pocket, the magician then asks the spectator to guess which one he/she is holding, the boy or girl?, once the spectator is done guessing he/she is asked to open their hand to reveal that both balls are in the spectators hand. The beauty of this phase in the routine is that it creates the effect of a ball vanishing from a magicians pocket and appearing in the spectators hand, when in fact there was no actual vanish done! The trick was structured in such a way that all the focus of the spectator was on the fact that an extra ball had appeared in his/her hand that the fact the he/she didn’t see the first ball actually vanish wasn’t even an issue. Understanding structure in this way has made me appreciate its value and apply its principles in every trick that I do. Since a very early stage in my life as a magician, I considered presentation to be essential when doing a trick. I didn’t enjoy watching magicians perform with little or no presentation. What I enjoyed even less, was watching a magician perform with no presentation and get amazing reactions from the audience. I held a firm belief that for a trick to be good, there had to be a lot of presentation involved. While training with Aaron, I noticed that some tricks that he performed had great and lovely presentations, whilst some didn’t and yet they were wonderful to watch and definitely created that feeling of real magic. That’s when I realized the actual purpose of presentation, and that is to cover up the different elements of the effect compass. In many tricks, having a nice presentation will achieve that (like in the case of the sponge ball trick, where the magician asks the spectator to guess which ball is he/she holding on to), however, there are also a number of tricks in which having a presentation might not only hinder the effect but also ruin it completely. Understanding that has helped me greatly reduce the fat from a lot of my tricks and enhanced the effect by a great deal. As I mentioned in the Introduction, I often received ‘compliments’ from my audiences such as ‘you’re really good with your hands’, ‘you’re so fast with the cards’ or ‘you have great sleight of hand’. This always bothered me as that was not the impression that I was trying to create for the audience. I didn’t want them to think of me as just a guy with skills. A major reason for this was that I didn’t understand the difference between a ‘trick’ and ‘effect’. I was performing ‘tricks’ for people without really thinking about the ‘effect’ it created in their minds. 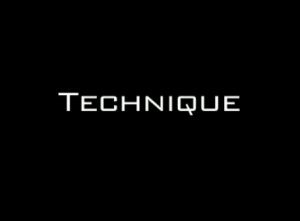 A trick is merely the technique being executed without much consideration for misdirection, structure and presentation. When these aspects are combined together with the technique, a magical effect is created. Adopting the Miracle Man Method has helped me understand the different aspects of an effect and how they must work together to create a truly magical experience for the audience. Working with Aaron and his 3M system has completely transformed my perception of magic and how it should be done for the better. It has gone a long way in helping me transform from being a ‘trickster’ to being a ‘magician’. My magic is now focused more on misdirection and structure than it was before. It doesn’t matter if you have been doing magic for 5 months or 15 years, I can say for sure that your magic will change for the better if you adopt the Miracle Man Method. I can say this so confidently as I cannot imagine understanding and being able to apply the principles of Misdirection, Structure, Presentation and Technique the way I do now if it wasn’t for Aaron and the 3M system. If you want your audiences to experience what it would be like to see real magic, adopt the Miracle Man Method.